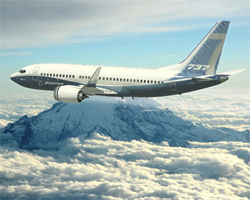 Boeing is to improve the fuel efficiency in single isle aircraft with the advent of their new 737 engine family. The new engines will also be available to retrofit into existing 496 aircraft, too. It is going to take a while for these new improvements to be seen, however, as deliveries of the new engines will not be delivered until sometime in 2017. CMF International LEAP-1B engines will be supplied in the new 737 family and reportedly provide a 7 percent advantage in operating costs over comparable solutions presented by competing companies. In other news, Bob Feldmann has been promoted to VP and GM of the new 737 engine family at Boeing. Feldmann has 35 years of experience within the aerospace industry and his most recent career accomplishment was leading the surveillance and engagement division at Boeing Military Aircraft. Some of the projects he has led include EA-18G Growler and the P-8A Poseidon.